There are 13 Memory Care Facilities in the Altadena area, with 1 in Altadena and 12 nearby. The average cost of memory care in Altadena is $3,250 per month. This is lower than the national median of $4,650. Cheaper nearby regions include Glendale with an average starting cost of $3,050. To help you with your search, browse the 20 reviews below for memory care facilities in Altadena. Better rated regions include Pasadena with an average rating of 4.4 out of 5 stars. Caring.com has helped thousands of families find high-quality senior care. To speak with one of our Family Advisors about memory care options and costs in Altadena, call (855) 863-8283. Altadena is located between Pasadena and the Angeles National Forest, approximately 10 miles from downtown Los Angeles, and has a population of 42,777 with around 17 percent aged 65 or over. There are 13 memory care facilities in the area, with one in Altadena itself and more in nearby cities such as Pasadena. Almost 12 percent of the population suffers from Alzheimer's disease or dementia in Los Angeles County which includes Altadena. 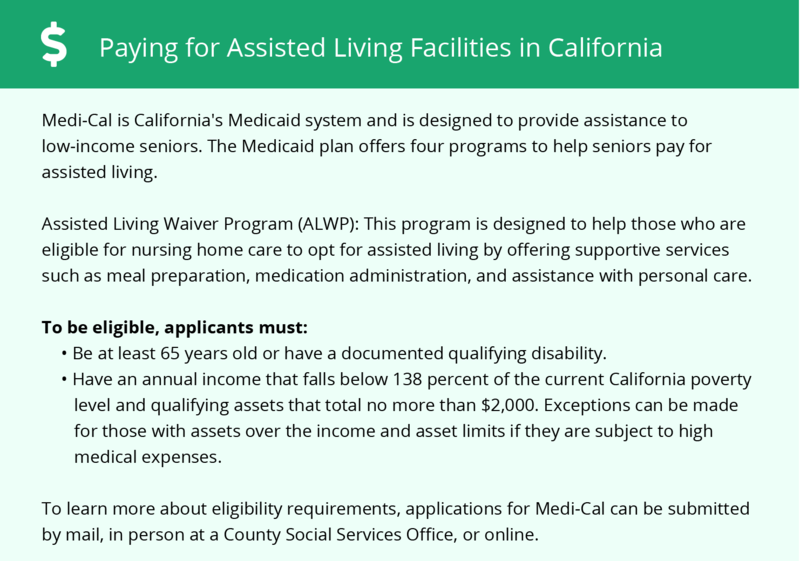 In Altadena, and California as a whole, facilities accommodating residents with Alzheimer's or dementia must be licensed by the state as Residential Care Facilities for the Elderly (RCFEs). Residents' personal rights are protected by the California Code of Regulations which seeks to maintain their dignity and safety while ensuring they receive the proper care. Altadena has a comfortable climate for much of the year. The average January low is 46 degrees, making snowfall a rarity, and the average high point in July is 90 degrees. This makes the area a good choice for seniors who wish to live in a warmer environment for health reasons or otherwise. The cost of living in Altadena is extremely high, even when compared to the rest of California, although this is mostly due to home prices and may not affect those seeking memory care facilities. Healthcare is actually cheaper in Altadena at 15 percent lower than the national average and 7 percent lower than the California average. Altadena has a violent crime rate slightly higher than the national average, although it is lower than the LA Metro area average. The property crime rate here is lower when compared to both the national and LA Metro averages. However, residents in memory care facilities are not likely to encounter problems in either category. As a part of California, Altadena suffers from burdensome tax regulations. Retirement accounts and income from pensions, both private and public, are taxed heavily. However, Social Security retirement income is left untouched. Memory Care costs in Altadena start around $3,250 per month on average, while the nationwide average cost of memory care is $4,800 per month. It’s important to note that memory care rates in Altadena and the surrounding suburbs can vary widely based on factors such as location, the level of care needed, apartment size and the types of amenities offered at each community. Altadena and the surrounding area are home to numerous government agencies and non-profit organizations offering help for seniors searching for or currently residing in an assisted living community. These organizations can also provide assistance in a number of other eldercare services such as geriatric care management, elder law advice, estate planning, finding home care and health and wellness programs. To see a list of free memory care resources in Altadena, please visit our Assisted Living in California page. 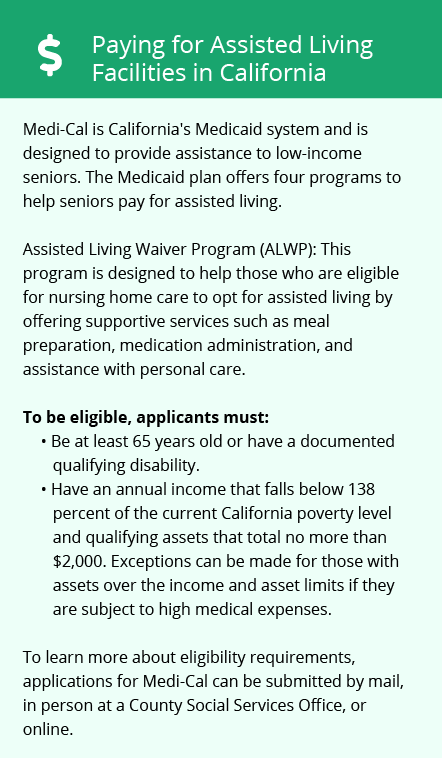 Altadena-area assisted living communities must adhere to the comprehensive set of state laws and regulations that all assisted living communities in California are required to follow. Visit our Memory Care in California page for more information about these laws.